TLJ News: February 21-25, 2014. 2/25. The House passed a revised version of HR 1123 [LOC | WW], the "Unlocking Consumer Choice and Wireless Competition Act", by a vote of 295-114. See, Roll Call No. 64. Introduction. Republicans voted 200-20. Democrats voted 95-94. Those who voted against the bill included Rep. Jared Polis (D-CO), Rep. Anna Eshoo (D-CA), Rep. Zoe Lofgren (D-CA), and Rep. Doris Matsui (D-CA). As revised, this bill would reinstate the Copyright Office's (CO) prior exemption for unlocking cell phones for personal use. However, the bill adds that nothing in the bill "shall be construed to permit the unlocking of wireless handsets or other wireless devices, for the purpose of bulk resale". The House considered this bill under suspension of the rules, which meant that no amendments were in order, and that a two thirds majority was required for passage. There are related bills pending in the Senate. However, the Senate has yet to pass this bill, or another bill. 2/25. The House passed HR 1232 [LOC | WW], the "The Federal Information Technology Acquisition Reform Act", or "FITARA", by voice vote. Rep. Darrell Issa (R-CA) and Rep. Gerald Connolly (D-VA) introduced this bill on March 18, 2013. Although, its contents have a longer history. The House Oversight and Government Reform Committee (HOGRC) approved this bill on March 20, 2013. Rep. Issa (at right), who is Chairman of the HOGRC, stated in the House that "There are systematic problems in the way that we procure IT, including the nature of the history of individuals at all levels thinking they can buy something, and often they can, but too often our committee sees and reviews billion-dollar writeoffs of IT programs in which you cannot find out who was in charge, in which you cannot find out how they went on so long, and the hardest thing to find out is why they don't work at the end of $1 billion worth of ``in and out´´ of House production." He added that "industry experts estimate that as much as 25 percent of the over $80 billion annual expenditure is mismanaged or is attributable to duplicative investments or simply doesn't come to be used." The process in the House has been bipartisan. Hence, Rep. Issa stated that while "the American people can certainly see the launch of healthcare.gov as a poster child for not done on time ... this bill is not about one failure. It is about a governmentwide, longstanding failure that predates this administration." Rep. Connolly, who is the ranking Democrat on the HOGRC's Subcommittee on Government Operations, stated in the House that "effective governance is inextricably linked with how well government leverages technology to serve its citizens. Yet our current Federal laws governing IT management and procurement are antiquated and out of step with technological change and growth and yield poor results. Far too often, cumbersome bureaucracy stifles innovation and prevents government from efficiently buying and deploying cutting-edge technology. Program failure and cost overruns plague the vast majority of major Federal IT investments.As the distinguished chairman indicated, if only the rollout of the health care Web site were a unique incident. Unfortunately, it actually characterizes most major Federal IT procurement rollouts.". 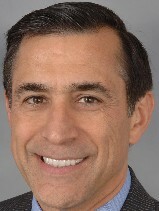 Rep. Issa summarized the contents of this long bill. He said that it would "create a clear line of responsibility, authority, and accountability over IT investment and management decisions by empowering agency CIOs; creating an operational framework to dramatically enhance the government's ability to procure commonly used IT faster, cheaper, and smarter; and strengthening the IT acquisition workforce". It also "accelerates and consolidates and optimizes the organization of government's proliferating data centers". Rep. Elijah Cummings (D-MD), the ranking Democrat on the HOGRC, stated in the House that this bill would "enhance the authority of the Federal Chief Information Officers, require agencies to optimize the functioning of Federal data centers, eliminate duplicative IT acquisition practices, and strengthen the Federal IT acquisition workforce". This Senate has not yet passed this bill. And. Rep. Cummings noted that "the administration has some concerns with this legislation". Sen. Tom Udall (D-NM) introduced S 1843 [LOC | WW], the "Federal Information Technology Savings, Accountability, and Transparency Act of 2013", on December 17, 2013. Sen. Jerry Moran (R-KS) and Sen. Mike Johanns (R-NE) are cosponsors. Also, on January 31, 2014 Rep. Anna Eshoo (D-CA) and Rep. Connolly released a discussion draft [10 pages in PDF] of a yet to be introduced bill titled "Reforming Federal Procurement of Information Technology Act", or "RFP-IT". It would create an Office of the United States Chief Technology Officer in the Executive Office of the President. See also, Rep. Eshoo's release. Rep. Eshoo spoke in support of HR 1232. She said that federal government IT procurement "has been a black hole of taxpayer dollars long before the deeply flawed rollout of Healthcare.gov", and that HR 1232 "is a strong start", but "there’s more that can be done", including passing her bill. 2/25. The Office of the U.S. Trade Representative (OUSTR) published a notice in the Federal Register (FR) in which it requests nominations, and comments on nominations, for membership on its Public Interest Trade Advisory Committee. The deadline to submit nominations (and written comments regarding nominations) is March 25, 2014. See, FR, Vol. 79, No. 37, February 25, 2014, at Pages 10596-10598. 2/24. Rep. John Dingell (D-MI) announced in a speech that he will not run for re-election in 2014. 2/21. The Federal Communications Commission (FCC) adopted and released a huge Further Notice of Proposed Rulemaking (NPRM) that would mandate that wireless service providers develop and deploy technology with more precise capability for detecting the location of wireless devices. The FNPRM and the statements of all five Commissioners state that the purpose of these proposed rules changes is enable first responders to more precisely know the location from which wireless emergency calls are made, particularly from inside of buildings. For the first time, the FCC proposes to mandate the providing of vertical position information, such as from which floor of a high rise building a call is made. This FNPRM titles this matter "Wireless E911 Location Accuracy Requirements". This 95 page document does not reference the significance of this regulatory regime for surveillance by law enforcement and intelligence agencies. Also, while this FNPRM notes that location surveillance technologies that are now deployed to facilitate commercial services might also be leveraged for this regulatory regime, it does not discuss how regulatory mandates may further the business models of some companies.